In January it was reported that Fox was pondering bringing back some its hit shows like Prison Break, 24 (which has already been brought back once for the limited series 24: Live Another Day), and The X-Files. And yet again, no word on Firefly—even a limited series return of the Joss Whedon series would surely send fans into a frenzy. Today comes word that at least one of those shows is indeed coming back. Fox has ordered a new limited series run of The X-Files, with show stars David Duchovny and Gillian Anderson set to reprise their roles and show creator Chris Carter also returning. 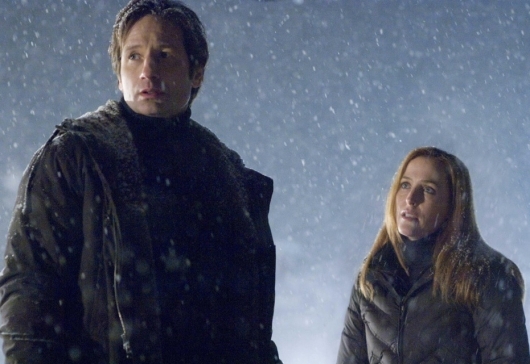 The X-Files return won’t be a lengthy run, sad as that will be for some fans, with only six episodes planned. But still, these limited series runs are a fun and exciting way for a show’s faithful followers to get just a little bit more of something they never thought they’d get again. Production on the new X-Files limited series run will begin sometime this summer, with no premiere date announced at the moment.